EL SEGUNDO, Calif., April 20, 2009 -- Northrop Grumman Corporation (NYSE:NOC) has delivered the center/aft fuselage section for the first F/A-18F Super Hornet for the Royal Australian Air Force (RAAF), the first international customer for the multirole fighter aircraft. The "shipset," consisting of the aircraft's center/aft fuselage section, twin vertical tails and all associated subsystems, was shipped April 2 to The Boeing Company's F/A-18 production center in St. Louis, Mo., for mating with the forward fuselage section and final assembly. The Australian government is purchasing 24 F/A-18Fs from the United States. The F/A-18E/F Super Hornet entered operational service with the U.S. Navy in 2001 as its combat-proven multirole fighter. (The "E" model has one cockpit seat; the "F" has two). As principal subcontractor to Boeing, Northrop Grumman is responsible for design and production of the entire F/A-18E/F center/aft fuselage, subsystems integration and after-delivery product support. 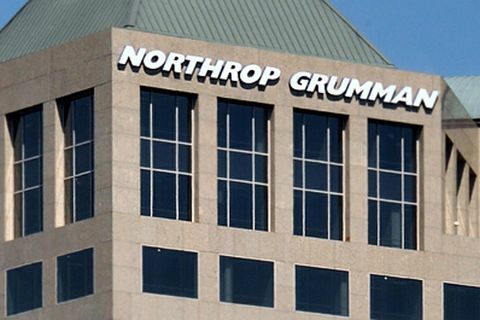 Northrop Grumman has delivered more than 1,890 shipsets for all models of the F/A-18, including the earlier F/A-18A-D Hornet and now the F/A-18E/F Super Hornet and EA-18G Growler. "This delivery continues the F/A-18 industry team's outstanding record of performance," said Michelle Scarpella, director of F/A-18 Programs at Northrop Grumman Aerospace Systems. "Each of the more than 380 F/A-18E/F Super Hornet deliveries has been on time or ahead of schedule." The F/A-18E/F program accounts for more than 1,200 jobs at Northrop Grumman's El Segundo Manufacturing Center and more than 10,000 jobs in California at over 700 supplier companies. The Super Hornet industry team includes Boeing, Northrop Grumman, GE Aircraft Engines, the Raytheon Company and more than 1,900 suppliers in the United States and Canada. 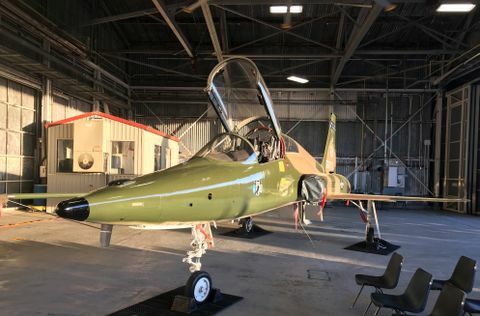 With built-in versatility, the aircraft features a suite of integrated and networked systems that provide enhanced interoperability and total force support for the combatant commander and troops on the ground. The U.S. Navy is expected to acquire a minimum of 506 Super Hornets and 88 EA-18G Growlers. Australia was one of the original international users of the F/A-18A/B, the first version of the Hornet. Northrop Grumman also produced major structural assemblies for the RAAF's earlier Hornets as part of a capability upgrade program.